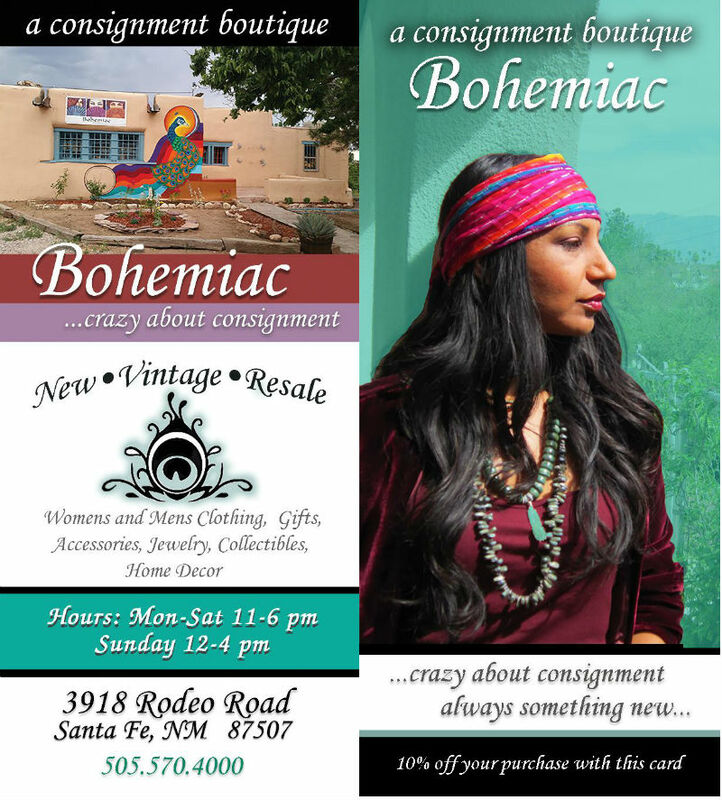 Come experience the Bohemiac way. Explore our shop off the beaten path. Find and take home a treasure as unique as every visit. consignment clothing, vintage, modern, bohemian, antiques, collectibles, furniture, art, jewelry. © 2014, To Do In Santa Fe, All Rights Reserved.